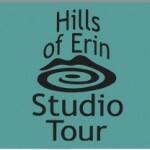 hills of erin studio tour 2015 • september 19-20 & 26-27. Fine Art. Painting & Drawing. Art Gallery in Erin, Ontario Canada. studio18symmes.